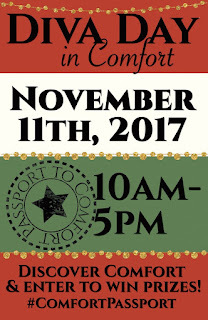 The town of Comfort, Texas will be all decked out for the holidays! 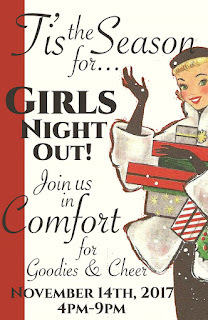 There will be special sales and treats at our local merchants. Shops will be open late to kick off the season. Bring a group of your friends and get a head start on your Christmas shopping!